Do you need and Electronic Cigarette which disposes of good autonomy for a longer vape in all circumstances? Do you wish to discover different types of vape such as Temperature Control? The settings do not scare you and changing the type of coil is no problem for you? Discover our selection of advanced Electronic Cigarettes! 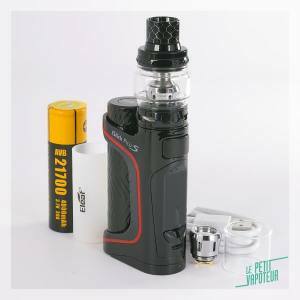 A powerful kit, packed with functions and modes, with 220W and double batteries (18650) and the Cascade Baby SE, 6.5ml. A complete Electronic Cigarette Kit for an agreeable moment in vape. 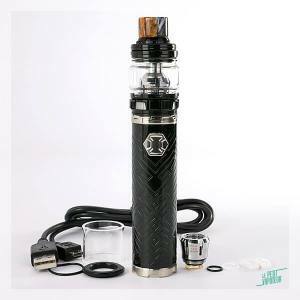 Vape on a regular or occasional basis, and you are looking for a Electronic Cigarette Kit which is not to expensive for a vape in complete calmness, at work, in the car, or in front of the television...? Discover our page which specializes in complete Electronic Cigarette Kits. Polyvalent, practical, sophisticated, design, of 40, 80 or even 200 watts, each complete Electronic Cigarette kit responds to numerous needs of our clients. Zoom in on our complete Electronic Cigarette Kits which are not very expensive, including a clearomiser, atomiser or a sophistcated dripper, capacities, autonomy, and varied power. All our kits propose different settings, equipped with multi-coloured LED's and high-tech systems. The rate of nicotine are varied from (0 to 16 mg/ml). Most of our kits are delivered with different types of coils and have child security. 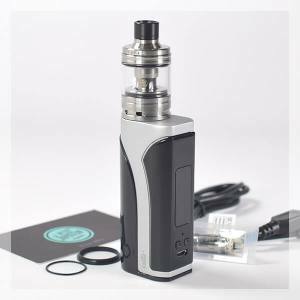 You can choose your non-expensive Electronic Cigarette Kit which has excellent autonomy, another way for a longer vape without being caught off guard. 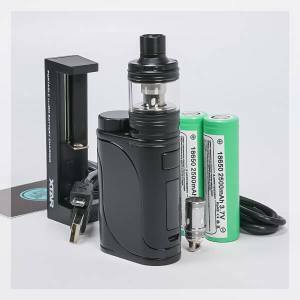 The Electronic Cigarette also functions with integrated batteries and have a capacity of 2 or 3ml.